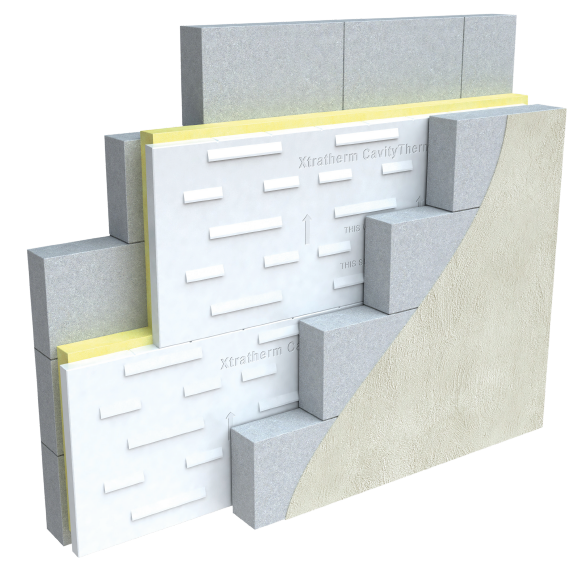 Continuous wall insulation that delivers ultimate thermal performance with the added assurance of protection from wind driven rain. CavityTherm provides a full range of innovative accessories forming a continuous ‘system’ that delivers unbeatable thermal bridging detail. 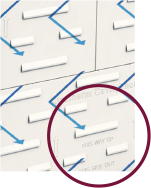 CavityTherm’s unique engineered proﬁled facing directs away any moisture that might penetrate the external wall, giving added protection from wind driven rain. 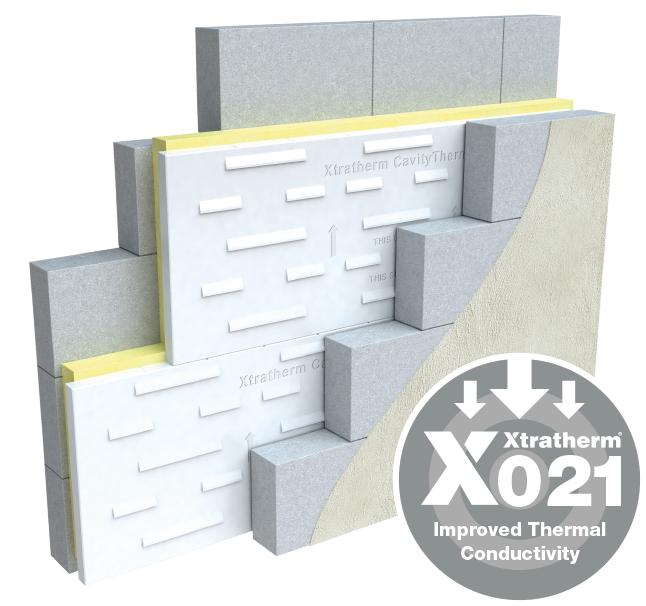 CavityTherm built into a traditional 100 -150mm cavity using standard foundation widths, building skills and local materials achieves U-values down to 0.12 W/m²K. We offer a comprehensive range of Brochures and Certifications as well as CAD and BIM files to assist you in using CavityTherm. 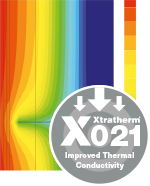 See facts & figures on how CavityTherm performs. Download CAD ﬁles of all CavityTherms Accessories. Get size and dimension speciﬁcations. Accredited Details for Construction (ACDs). Download BIM objects of all CavityTherms Accessories. 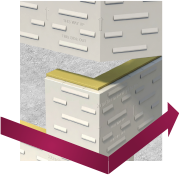 CavityTherm’s unique engineered profiled facing directs any moisture that might penetrate the external wall down the protective facing and back onto the external leaf, giving added protection from wind driven rain.